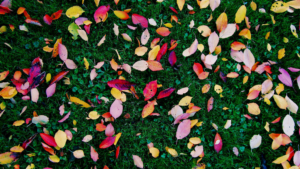 Tips to Maintain Your Home this Fall! 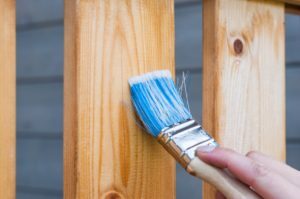 Whether you’re selling your home or just want to keep up its appearance, take note of these helpful tips to maintaining your home- they will come in handy! Sprucing up the outside of your home with this little step will keep your home looking brand new and top notch. The harsh cold temperatures of fall and winter in the High Country can cause your paint to peel. This will allow moisture to penetrate and rot wood in time. Sealing up this extra layer is like giving your home a nice fuzzy coat to prepare it for the cold days ahead. You can always call in a professional to do this for you and we know plenty that can help you (View our recommended Client Services here)! Though this simple DIY can save some money! The first step is to clean the surface, making sure to get all the built-up gunk and nastiness off. Next, you want to sand down the surface with 80 grit sandpaper to prepare it for the (optional) stain and sealant. Apply stain and sealant according to directions for the specific brand you chose and you’re protected for the winter! It’s all about protecting your property from the elements! 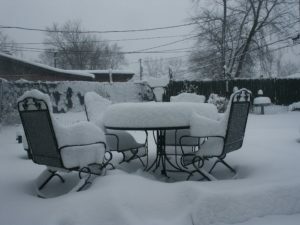 Even if you’ve got outdoor furniture, it’s always a great idea to store it away to guarantee longevity and remove the threat of damages from bad weather. By storing away outdoor furniture you also make sure they will look great next spring! Don’t just rely on the one big cleaning for the year, the infamous ‘spring cleaning’! Not only will it make it easier on you when spring cleaning season comes around, but it will maintain you home longer and with less clutter. One of the first things I recommend doing is cleaning your windows. Yes… inside and out. This will get all the nasty built-up residue off your windows and allow for your fall window displays to be more visible! Deep cleaning the window screens will eliminate the gross stuff that accumulates there too. As far as cleaning outside goes… rake those leaves! There’s no use in letting them accumulate and take away from the beauty your home has to offer. Remove them from your driveway with a broom and off of any landscaping you have will create a more maintained atmosphere. There will still be plenty of leaves surrounding your home to contrast, but you don’t want them to make your home blend in as a type of camouflage! Gutter, gutters, gutters… Clean those suckers out! The leaves, pine needles, and much more accumulates here, especially in the fall. Not only will cleaning this save you from a leaky roof, it will look much nicer from afar. Feed and Seed Your Lawn! “After a long, hot summer, your lawn could probably use a bit of extra TLC, and seeding is proven to be the most effective way to repair damage.” -Brian Raehl (General Manager of Agronomic Lawn Management in Virginia Beach, VA.) By seeding your lawn before the first frost, you can allow seeds to begin taking root in the soil to fast track spring growth! By following these steps, you are making sure your property stands against the elements and will be ready to greet Spring 2018! Stay tuned for more helpful tips on property maintenance & home decor trends! Vincent Properties is not only passionate about selling property but also helping you make the High Country your home!